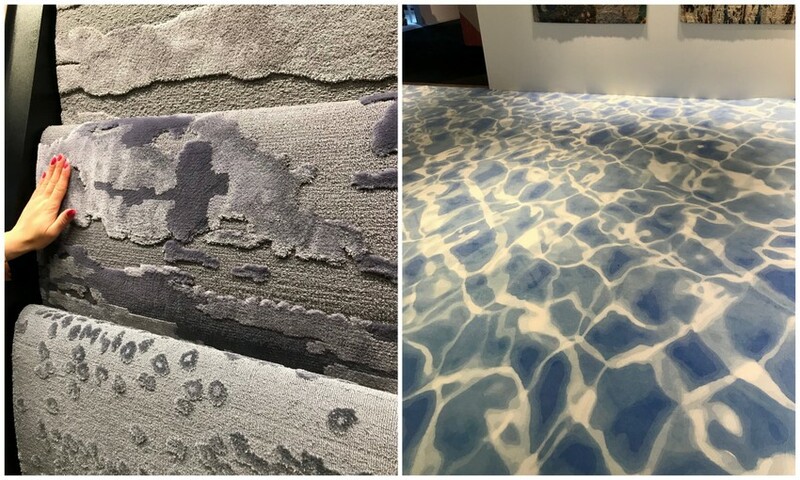 Last week the Interior Design Show was in Toronto. Neetu checked it out! Read all about it below. 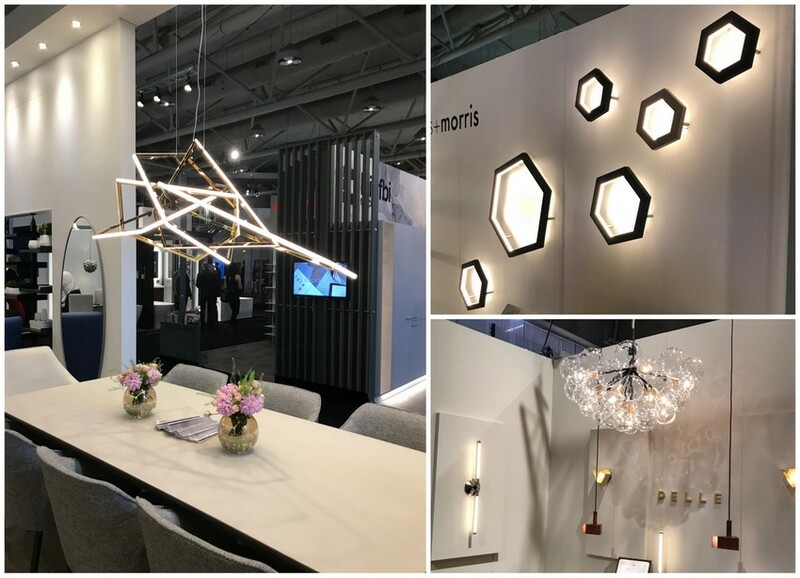 The sights, sounds and tastes all captured my senses at The Interior Design Show in Toronto. 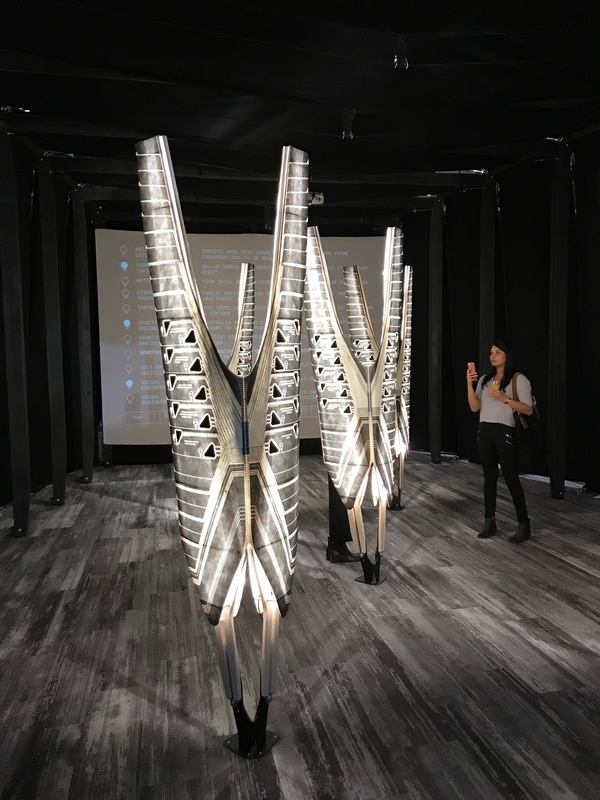 At the opening party, it was more that just design ideas for your home. 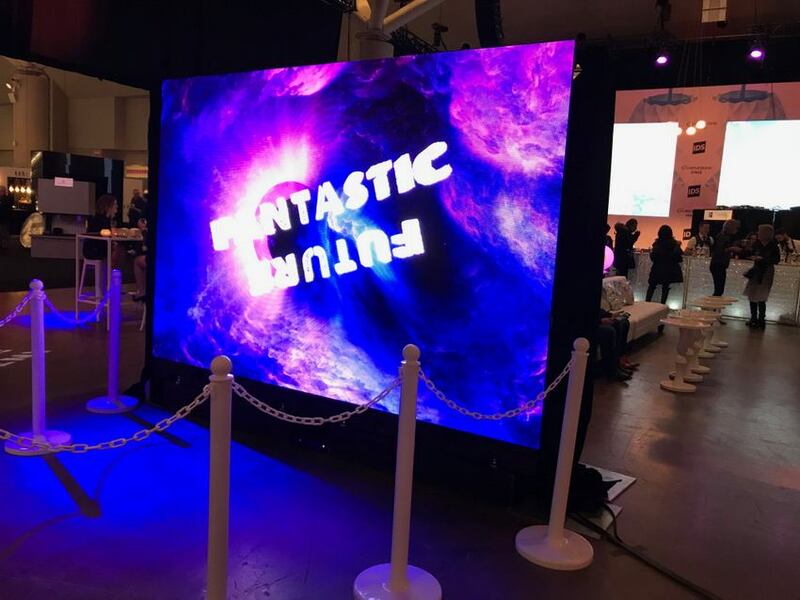 Toronto’s food and beverage scene met art and design. Sipping on signature cocktails made with gin, rosemary and grapefruit, I wandered through the installations of tile, carpeting, lighting and textiles. Several food and drink vendors were onsite, from tacos to mac and cheese and earl grey ice cream. A full selections of drinks including ciders and full bodied red wines were available. 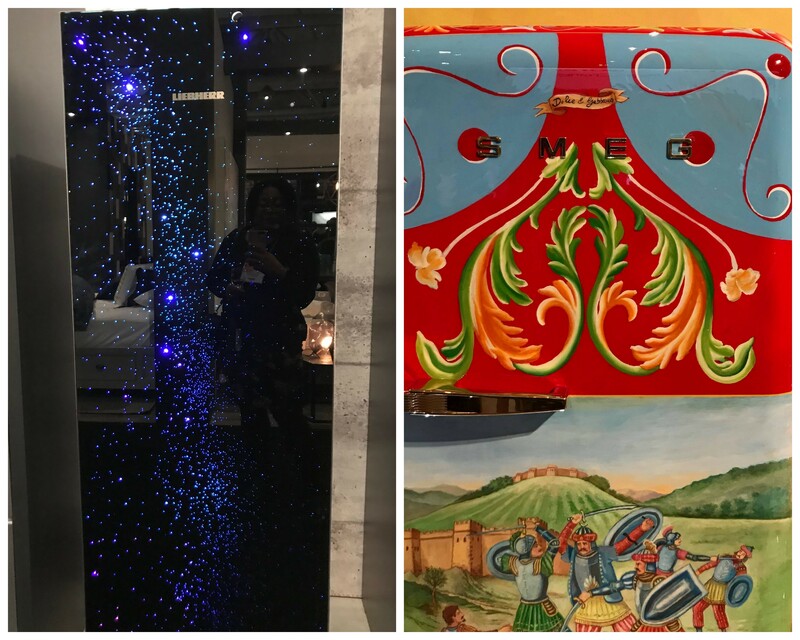 This celestial Liebherr fridge and this the SMEG Dolce & Gabbana hand painted fridge of a medieval battle are for those that have big budgets to spend on a fridge. Uniquely designed light fixtures drew me in as I am in search for new lights in my condo. Gold accent chairs and white fluffy bar stools were also attention grabbing, but are more aspirational than practical. A seating area for resting was filled with pink exercise balls and looked like an art installation. 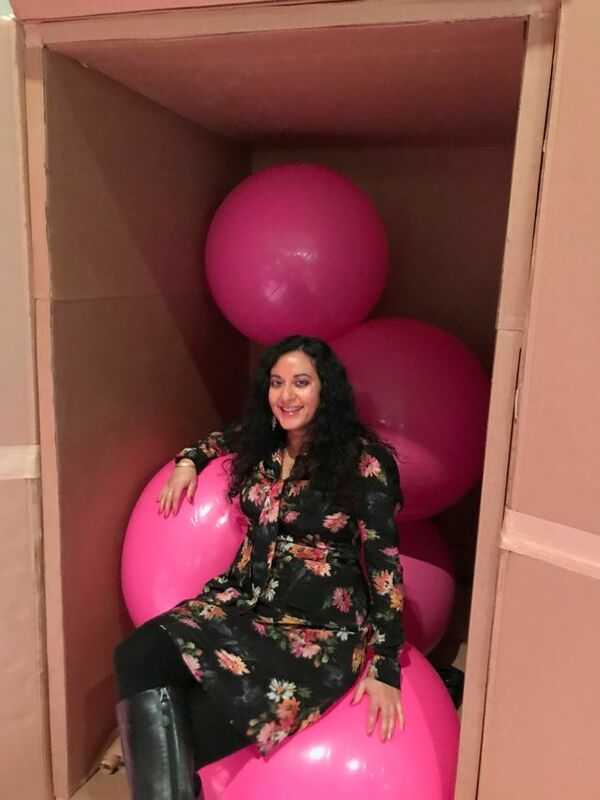 I was drawn to a box filled with the pink balls and insisted on taking a photo in them, which prompted onlookers to follow suit. The details of the show were well executed and inspiring to incorporate design to your everyday life. It was a fun evening spent with designers, art aficionados and foodies. Neetu Mehra is a marketing professional by day and exploring interesting events in the city by night. She loves stimulating her taste buds at new restaurants, enjoying a great glass of Cabernet Sauvignon, long walks along the water, practicing hot yoga and traveling across the world.